Telematics: Boom or Bust for NY Drivers, Insurers, and the State? The State of New York has recently gone on record, through its Department of Financial Services, asking insurers to consider using Telematics Programs to collect user data. The Usage-Based Insurance (UBI) programs base insurance rates on user behavior. How many miles that driver drives each day. How that driver accelerates and brakes. The time of day that the driver drives as well as what the driver does while they are driving. Anything that can be attributed to distracted driving is recorded. What are the Benefits to insurers for using UBI technology? The main benefit is that insurance companies can identify high-risk drivers. For decades, insurance companies have used data averages to assign risk. This means that if you are a high-risk driver or a low-risk driver that you are lumped into the average group and pay rates based on the group not your individual driving habits. This technology promotes rates based on individual habits. The other benefit to insurers is the potential for decreases accidents. If drivers know, they are being monitored, they are much more likely to drive safer and avoid situations where their driving habits might mean an insurance rate increase. 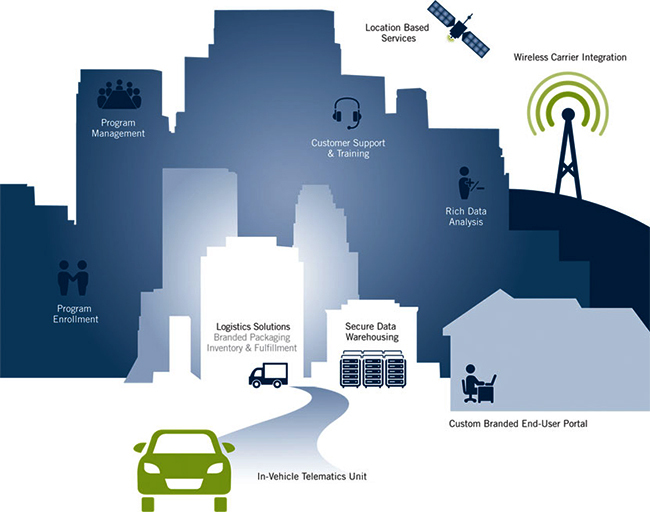 What are the Benefits of Telematics for the State of New York? The benefits to the State of New York are many. First as a group the goal would be to lower insurance premiums for all New York residents who prove to be good drivers. The long-term goal would be to save revenue that is currently spent on the cost of auto accidents. This may be a reduction or redirection of law enforcement, hiring practices, and an increase in things like tourism. Welcome to New York, the state with the safest drivers. What are the Benefits That Parents Will Gain by Using Telematics? Parents will find benefits through technology that works with Telematics. These would include Apps that prevent distracted driving behaviors like texting, calling, and playing games while driving. The other benefits include Apps that record driving behaviors, such as speeding and other driver related activities that parents can use to keep their teen drivers safe. How Invasive is Telematics to Privacy? While New York State is encouraging the use of Telematics, it is only doing so on a voluntary basis. Plenty of people are highly concerned over privacy issues and the use of Telematics. Between insurers, the programs vary greatly. The question comes down to how long does it really take to establish driving habits? Some insurance companies have defined that time-frame to be X number of months. Other insurers require that the devices used to collect data remain a permanent fixture to insurers vehicles. The basic argument comes down to cost savings and safer roads. Insurers are hailing the use of Telematics technology as a way to open doors to new types of business and services. The current propose looks like a win, win, win situation for the State of New York, Insurers, and responsible drivers, even with the threat to privacy. Drivers in New York receive an automatic 10% discount on auto premiums after completing any of the State’s-approved defensive driving course. That discount includes auto, truck and motorcycle policies. Even if you are not ready to implant a Telematics device on your car, New York has made savings on auto insurance possible.